More information on how to glamp (including in my beloved Ithaca) is here. The NYTimes is also on it…. The Iowa River meanders through the central and eastern parts of Iowa, protected by the Iowa River Greenbelt, an effort started in the 1980s to connect Iowans to this river with hundreds of adjacent acres of recreational and protected lands. It means there are plenty of trees carpeting the deep river valley, where a rocky stream that isn’t much wider than 75 feet bustles through. I recently checked out a segment, a short 6-mile trip from Steamboat Rock to Eldora. “It has bluffs, a rocky bottom and a nice drop (or gradient). It’s a nice stretch of river,” said Sandra Morlan of Rock-n-Row Adventures in Eldora. Here are other recommendations of paddling trips with good fall colors from Central Iowa Paddlers and Todd Robertson, the DNR’s River Programs Outreach Coordinator. • Red Rock Water Trail at Lake Red Rock: This 36-mile trail is a great back-up plan if stream levels are too low. The trail includes rocky cliffs and a sea cave at Elk Rock State Park and a paddle-in campsite at Hickory Ridge. Eagles’ nests and migratory birds make for great wildlife viewing and fall colors are in blaze, especially around Hickory Ridge. Use caution on windy days that create big waves on the lake. As the days get colder a wetsuit may be needed. • Middle/South Raccoon Water Trail near Adel and Redfield: The Middle Raccoon’s high bluffs and the South’s unspoiled, remote woods make these great rivers in Central Iowa for fall colors. They are also good fishing streams for catfish, smallmouth bass and walleye. • Middle River Water Trail near Winterset: A nice trip is from Roseman Covered Bridge to Pammel State Park. The river is tight, usually only 50 feet wide, which makes for a nice tree-lined trip. The river may be swift in higher waters, but watch out for low water in fall. The covered bridges of Madison County are famous for love, of course, so bring a honey on this one. • Upper Iowa River near Decorah: If you want to take a longer drive, it may be worth it. Although it’s not yet an official state trail, this National Wild and Scenic River is nothing short of a gem and has long topped the lists of paddlers statewide. 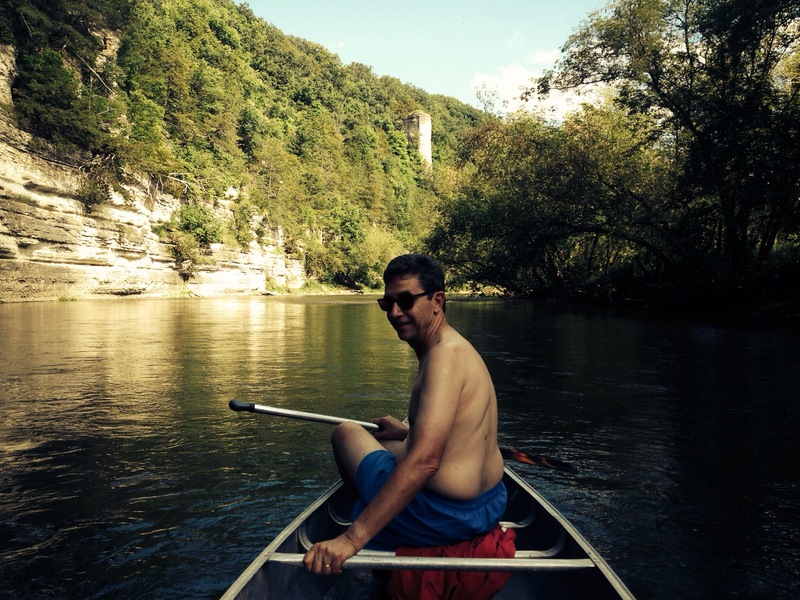 The water is spring-fed and clear, and the rocky bottom leaves fun riffles to paddle through, all along breathtaking bluffs that rise up to 60 feet. Fall paddlers love this one, of course, because of the surrounding blanket of trees and forests and the selection of numerous outfitters to drop you off. DNR maps and brochures of Iowa water trails:www.iowadnr.gov/Recreation/CanoeingKayaking/WaterTrails/WaterTrailMapsBrochures.aspx. For nearby outfitters to rent canoes or kayaks, go towww.iowadnr.gov/Recreation/CanoeingKayaking/PaddlerResources.aspx. It’s hard not to feel the excitement about RAGBRAI this year, which begins today in western Iowa – – especially since the whole city of Des Moines, where I live, is gearing up for the arrival of thousands of riders here on Tuesday (the route, which changes every year, goes through DSM for the first time in ages this year!). There are all sorts of parties, concerts, food vendors, residents readying for the big event! And our friends in Windsor Heights (a DSM suburb) are among many who are opening their homes to host a few riders – and those riders will definitely luck out. They’ll get a fantastic outdoor pool, beautifully landscaped yard, drinks, meals and meet two of the nicest Iowans ever (and that’s saying a lot)! Just heard from a friend in Ames who needs a place to stay – and even more important “a real shower” during the Des Moines overnight so looks like we’ll be squeezing some more people into our house. (We’re already hosting an Israeli exchange student as of today for several weeks). The more the merrier. I just pulled out the stuff from my official RAGBRAI packet (this is the first year I’ve gone legit and paid to ride for two days, rather than just hoping on the ride for a day as I did two years ago) and I’ve got various wristbands and bike tags. Cannot wait!! So how did my husband end up in Flint Michigan yesterday when he was supposed to end up in the Ukrainian city of Kiev? Chalk it up to the challenges of flying from smaller cities, unpredictable summer weather and airline belt tightening, perhaps. The weather was hazy in Des Moines in the early afternoon when he left with a farm group for Kiev via Detroit and Amsterdam. It was already going to be a long day. Which turned into long days when a storm in Detroit required the plane to be diverted to Flint, 17 minutes fly time from Detroit. passengers were told the plane didn’t have enough fuel to keep circling and wait out the storm. It was sunny in Flint and my relatives in suburban Detroit reported there was no storm there. D. finally did make it to Detroit in the early evening, just missing the Amsterdam flight which had also been delayed by weather. So his group of 20 had to rebook, which is never easy but particularly now with planes packed to the gills. They stayed over night in a hotel by the airport and set off early this morning for Kiev, now via Boston and Paris. At one point, it was going to be via Newark and Amsterdam. Here’s hoping. Even for much less ambitious journeys, we have gotten used to not flying as expected. Last week my daughter got home a day late from California after her flight from Santa Barbara to Denver was delayed for hours on a sunny day. mechanical problems. The same thing happened to me last fall on a bright sunny day in Kansas City, when my flight to New Orleans was delayed for hours and ultimately cancelled. Mechanical. It’s gotten so i am almost surprised when i get somewhere as scheduled. and still we travel. tomorrow I fly from Chicago to London. Relatively easy. Or so it seems now. TripAdvisor’s “Top travel destinations” – a few surprises…. Lists are dubious but oh so easy to read – and so I sometimes do. TripAdvisor’s “Winners 25 Best Destinations” (no word on how the “winners” were chosen) includes many obvious places and I was pleased to see I’d been to the “top eight” (Paris, New York, London, Rome, Barcelona, Venice, San Francisco, Florence yadah yadah yadah) but some places that we’re visiting soon also made the list. No – not Kiev (see scenes above) or Bucharest (see below) or Moldova (the world’s most unhappy place if you believe this report http://www.youtube.com/watch?v=ENK4rS7Y02U), where my husband is going. But Prague squeaked into the top 10 at #9; Berlin was #11 and Chicago #14. 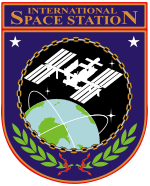 My dad provided me with this post fodder – an internet tour of the International Space Station. It’s a brave new world. and here’s a list of possible dates to see it over Iowa….